Rarely is there a place that has a dynamic visitor experience plus offers an elevated product that consumers swear by. 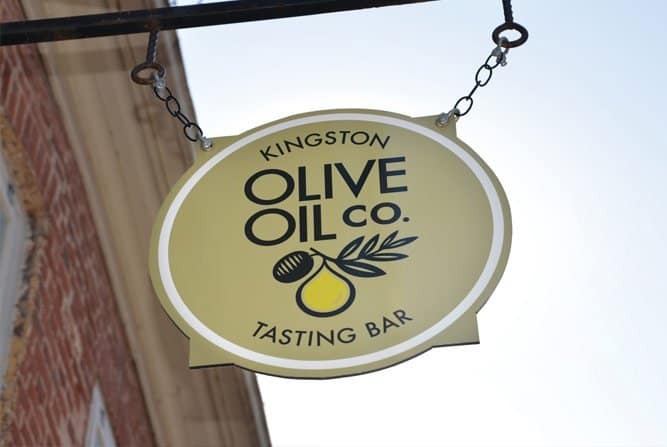 Kingston Olive Oil Co. has become a staple in Kingston as a must visit and shop. Ranking as #8 on Trip Advisor as “Best things to do in Kingston” this small retail location in the downtown ranks higher than Fort Henry National Historic Site. This trendy and talked about shop needed a fresh and refined brand to match. 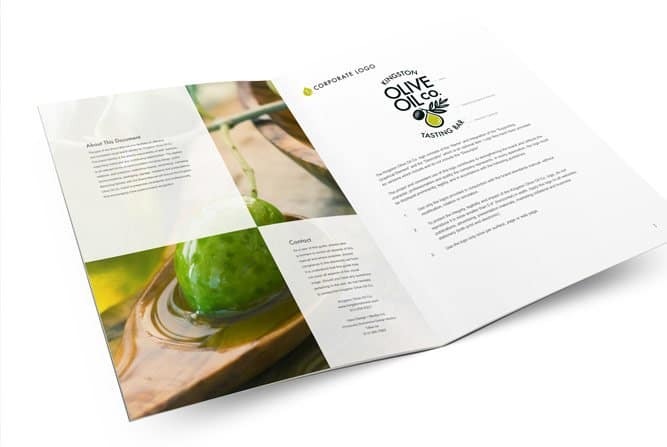 1dea partnered with Kingston Olive Oil Co. to bring their brand to life through a strong visual identity, creative packaging and an online and social presence. 1dea was given complete creative freedom to build this brand from the ground up. 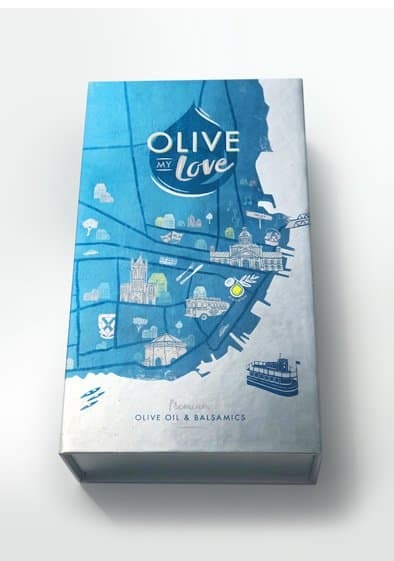 Throughout the 5 years of working with Kingston Olive Oil Co., our design team has flexed our creative muscles to create the visual identity foundation, all the creative assets, and also unique specialty projects which include incredible packaging. 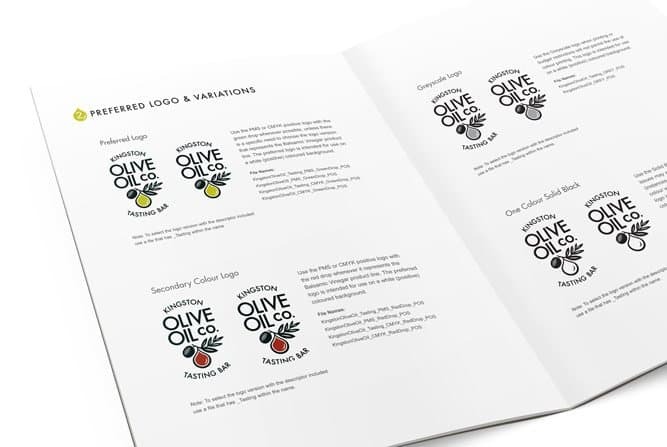 1dea was recognized for our design achievement by LogoLounge as the Kingston Olive Oil logo was selected out of 35,000 entries internationally as one of the best brand developments of the year in 2014 and then again in 2016 for the Olivent logo design. The three Kingston Olive Oil Co. Specialty Gift Boxes will be forever considered some of 1dea’s favourites projects. These boxes are show stoppers with their themed visuals, bright colours and impactful use of metallics. The conceptual designs, illustrations and full layouts were completed by the 1dea creative team. 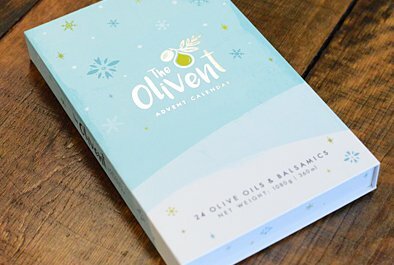 The Olivent Advent Calendar is a yearly hot-item, flying off the shelves each December. 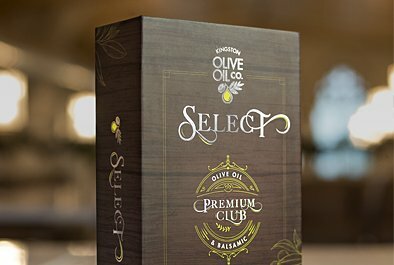 Their unique idea to offer mini olive oil and balsamic vinegar bottles, paired with the festive illustrations and witty wording makes for a memorable gift. The Olive My Love Gift Box packages consumer’s gifts in a box so interesting that the recipient won’t ever want to part with it. 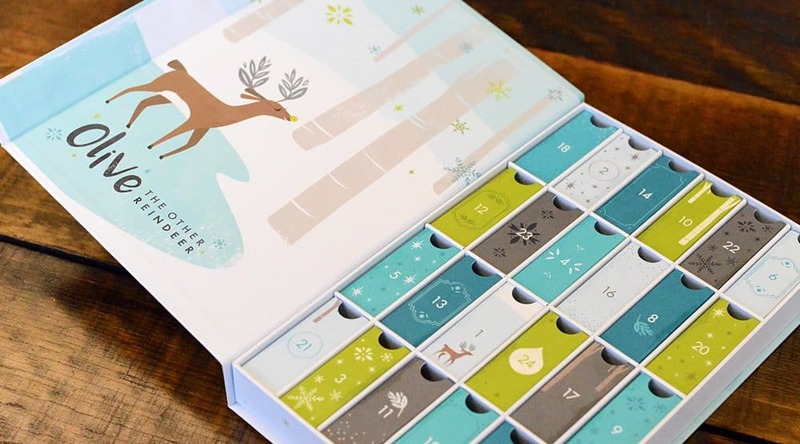 The box theme plays homage to Kingston and uses custom illustrations to depict a stylized map. The Select Program is an up and coming endeavour that will allow consumers to be part of the Premium Club. 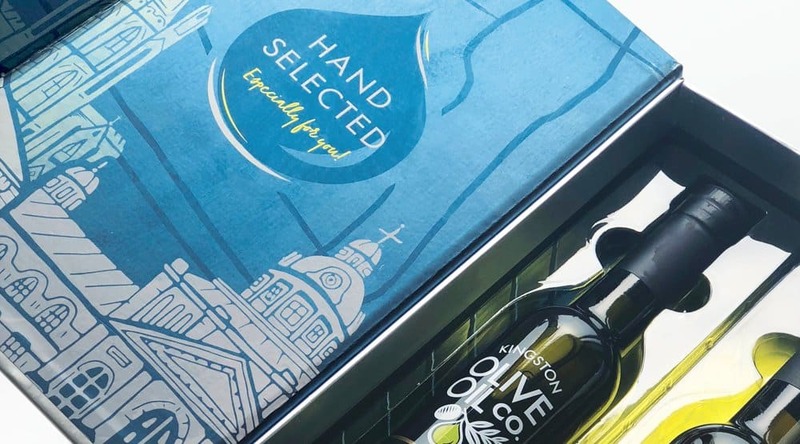 Rich tones and refined graphics bring Kingston Olive Oil Select Products to a new level. Kingston Olive Oil Co. will continue to be a benchmark in our portfolio. We are proud of their growth into multiple locations, their growing consumer base and expansion into new speciality products. Not to mention being recognized as one of TripAdvisors "Best things to do in Kingston". We celebrate their successes and are honoured to have 1dea continue to play a role in bringing this vision to life. Awarded by industry leader LogoLounge as one of the best logo designs in 2014 for Kingston Olive Oil Co. and again in 2016 for The Olivent as selected from a of pool of 35,000 each year.